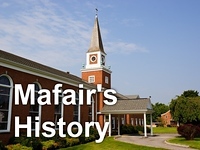 "Reflections on 'The Cotton Patch Gospel'" is the worship service from Mafair United Methodist Church on July 17, 2016. The reflections were given by Rev. Amy Probst.